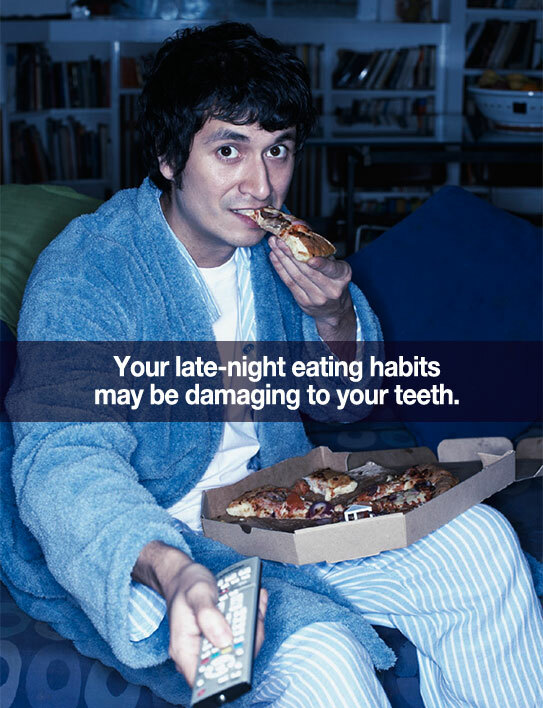 Though Tempting, They Could be Hurting Your Oral Health More than You Know. [font_icon icon=”caret-right” margin_top=”0″ margin_bottom=”0″ margin_right=”10px” margin_left=”0″]If you have a snack, rinse or brush your teeth afterward. [font_icon icon=”caret-right” margin_top=”0″ margin_bottom=”0″ margin_right=”10px” margin_left=”0″]Try not to eat or drink anything but water during the hour prior to going to bed. [font_icon icon=”caret-right” margin_top=”0″ margin_bottom=”0″ margin_right=”10px” margin_left=”0″]When snacking fever strikes, opt for healthier foods.